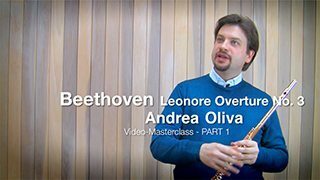 “Andrea Oliva is one of the best flutists of his generation, a shining star in the world of the flute”. 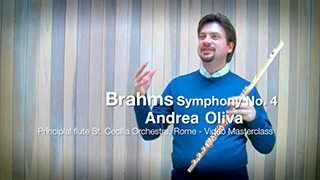 This is what Sir James Galway said about Andrea Oliva, Principal Flutist at Orchestra dell’Accademia Nazionale di Santa Cecilia Orchestra in Rome since 2003 and Flute professor at the University school of the Conservatorio della Svizzera italiana in Lugano, Switzerland. 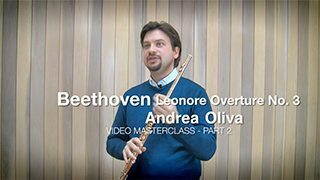 Born in Modena in 1977, he graduated with honours from the Vecchi-Tonelli Musical Institute in Modena. As a flute soloist he has performed at renowned concert halls around the world, such as Carnegie Hall in New York, Wigmore Hall in London and the prestigious Bunka Kaikan Hall in Tokyo, and with orchestras such as the Orchestra della Scala, Milan; Symphonieorchester des Bayerischen Rundfunks, Bamberger Symphoniker, Mahler Chamber Orchestra and the Chamber Orchestra of Europe. Oliva has appeared several times as soloist with the Santa Cecilia National Orchestra, including under the direction of Christopher Hogwood and Myung-Whun Chung. In 2010 he performed the Flute Concerto by Carl Nielsen with directed by Antonio Pappano, and in January 2013, with Manfred Honeck, he gave the Italian premiere performance of Marc-André Dabavie’s Concerto for Flute and Orchestra. Oliva records for Wide Classique, Brillant, Sony. His recording, with Angela Hewitt, of Bach Flute Sonatas was released by Hyperion Records in February 2013. He plays a Muramatsu 14K all gold flute.